Tax season is approaching, and it’s a prime opportunity to meet the minimum spend requirement on a new credit card. Disclaimer: I am not a tax professional, and the information on this blog is for informational purposes only. Consult your tax professional/accountant for the most accurate information related to your taxes. There are several methods to pay your taxes, which include debit card, credit card, and check. If you have a credit card that earns rewards or cash back, then it might be worth considering using the card. Most premium travel cards or business cards have an attractive welcome offer that might require spending $3,000+ within the first three months of account opening. For some people, this might be a struggle. Although there are payment processing fees, paying your taxes with a credit card is one method to meet the minimum spend requirement on a new credit card. Some business might also be able to write-off the processing fee as a business expense. Consult your tax or accounting professional to see if you qualify. Another benefit of paying your taxes with a credit card is that you will also earn point rewards or cash back on the amount you spend. For example, if you make a tax payment with the Chase Freedom Unlimited, you’ll earn 1.5x on the payment. When you pool the points to the Chase Sapphire Reserve and redeem the points for travel, the points are worth 2 cents per point via airline and hotel transfer partners. The IRS recommends three primary payment processor partners to pay your taxes with a credit card. In most cases, it makes sense to go with Pay1040 because it has the lowest fee at 1.87%. 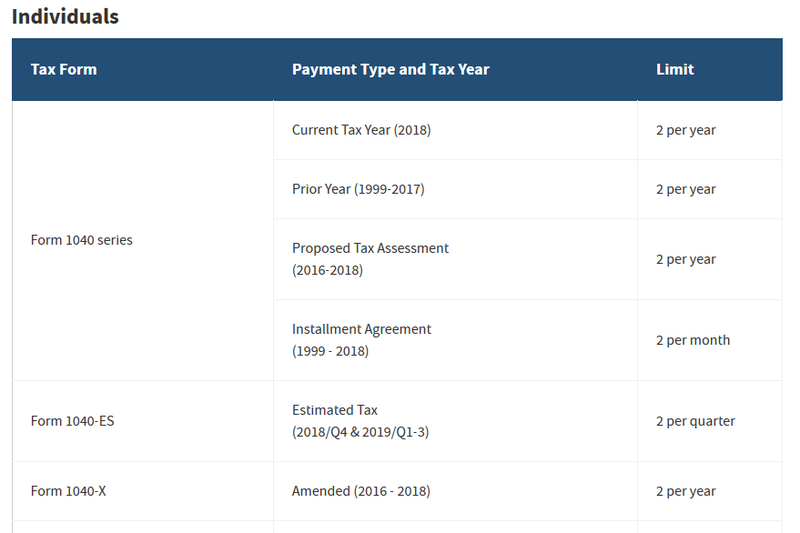 For most people, there are 5 periods for you to prepay taxes. Each period, up to 2 times. Estimated taxes for Q1, Q2, Q3, Q4 and estimated taxes for the entire 1040. If you are a contractor, you’re required to make quarterly payments regardless, so pre-paying taxes is a method to meet minimum spend on a new credit card. Plastiq has a higher payment processing fee (2.5%) than the ones recommended by the IRS, but if you own a business, they’re currently running a promotion to earn 10,000 fee-free dollars. Be sure to do the math to see if earning the 10,000 fee-free dollars make sense for you. If not, stick with one of the payment processors mentioned above.